How would you like your tools to know the most efficient way to do each job regardless of the materials or fasteners you are working with? 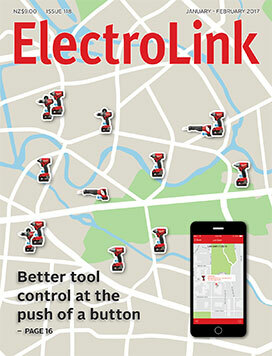 Now they can with One-Key – the first digital platform for jobsite tools and equipment. The One-Key phone app allows you to take control of your Bluetooth-enabled Milwaukee M18 tools and customise them to operate the way you want for each task. It will also track them on a jobsite and even help locate them through the One-Key network if they are lost or stolen. Milwaukee Tools national sales and marketing manager Nicole White says being able to set your power tools up for the work you typically do is the biggest advance in tool control since the introduction of Fuel technology. “By being able to configure, track and manage your tools with just a few taps on your mobile device, you can revolutionize the way work gets done and solve tool use and management problems in ways that have never before been possible. Many years ago the government decided a lot of electrical work was too dangerous for people to do and restricted the right to do this work to a select group of people who were trained to carry out prescribed electrical work (PEW) competently and safely. The exclusive access to this work is today granted in section 74 of the Electricity Act to people working under a licence issued by the Electrical Workers Registration Board (EWRB), or under an exemption to licensing. But the granting of a licence today is not a blank cheque. Section 74 sets an over-riding condition that the authorisation to carry out PEW is granted on the condition that the PEW is carried out within limits prescribed in regulations made under section 169 of the Act. This section contains the scope of regulating powers in the Act from which the Electricity (Safety) Regulations 2010 are created, and addresses how all PEW work must be carried out. In accepting a licence, workers are bound to work within the limits of these regulations and place their licence at risk when the PEW they do is non-compliant with them. Assigning all prescribed electrical installation work (PEW) to one of three risk levels in 2010 enabled the electrical regulator to prescribe means of testing, verifying and documenting the safety of different types of work with a level of intervention that is proportionate to the risks workers are required to manage. 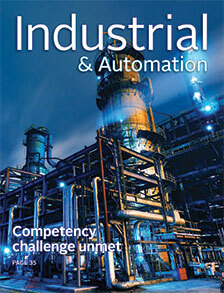 (PCBUs) to eliminate or minimise risks to health and safety, where before they simply had to address hazards. With risk management now locked in as the governing principle determining the compliance of electrical work and the business of carrying out electrical work, standards for competency and training have had to be reviewed to ensure that every person who picks up a screwdriver, or supervises or manages installation PEW, has the skills to manage safety risks to themselves, other workers and the public. 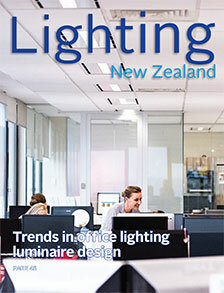 In the last issue of Electrolink we looked at trends in office lighting design, where design considerations are broadening from a focus on energy efficiency to acknowledge the importance of visual appearance and comfort. The lighting industry recognises that good lighting makes offices look and feel more comfortable to work in, and this is a good thing for the occupants’ well-being. With this in mind, how are luminaire manufacturers responding? Laurie Cook, lighting specialist at consulting firm Beca, says even with new light sources like LED, and regardless of the current trends, the principles of good lighting and luminaire design have not changed. Cook is tasked with evaluating the latest technical developments and trends in commercial lighting and says it is important that luminaire designers carry these principles forward as they develop LED versions of traditional luminaires. In recent times the large uptake in demand for LED lamps and luminaires in New Zealand has raised market and industry awareness that all LED lighting products supplied to the New Zealand market must meet Electromagnetic Compatibility (EMC) specifications to prevent interference to radiocommunication services. The Ministry of Business, Innovation & Employment (MBIE), Radio Spectrum Management (RSM) is the NZ regulatory authority with responsibility for prescribing EMC performance standards and radio communication in New Zealand. The new ‘Regulatory Compliance Mark’ (RCM) regime came into effect from 1st March 2016 and products now must carry the RCM Mark, instead of the previous ‘C-Tick Mark’. The RCM is the only visible indication of product compliance with applicable EMC regulatory requirements.